02:12 Mator_ Given a set of 3d coordinates and a scale you look at the first iteration of the fractal. Based on this iteration you moved the coordinates to a different reference frame, and recurse at a lower scale. 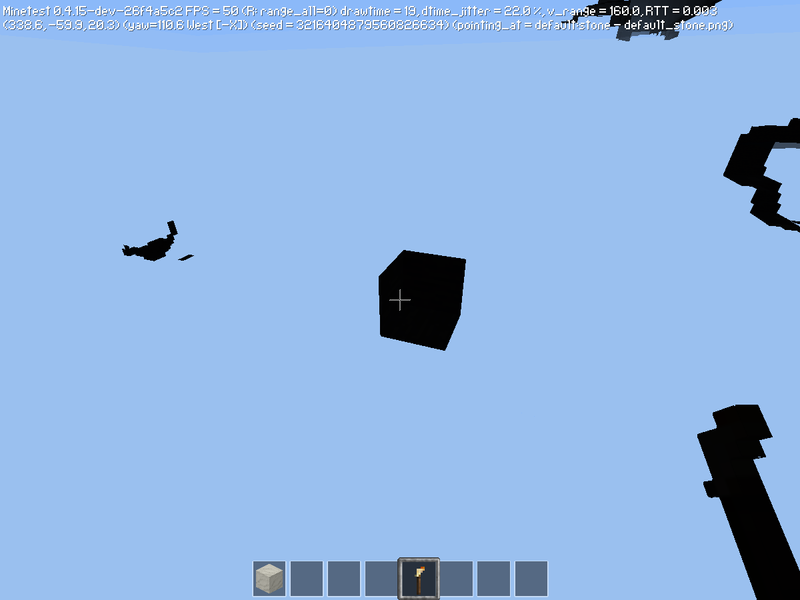 When you reach the minimum coordinate scale you choose to place or not place a voxel. 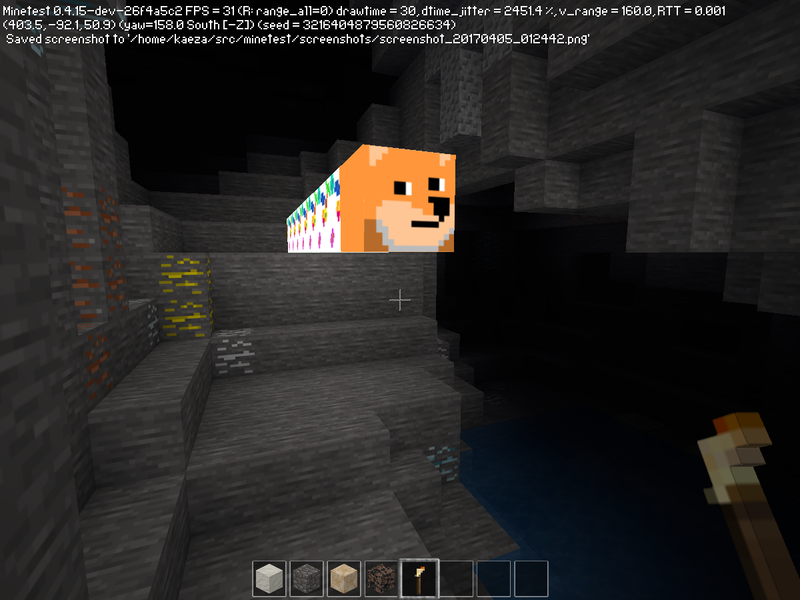 04:00 Mator_ kaeza is that... a 1-block cave? 04:00 Mator_ And is that woofdog, o_O? 07:19 MinetestBot I'm not dumb, you know? 10:40 riff-IRC how are you? 14:15 Tre why did it do that? 16:10 DS-minetest I've thought about adding an entity to the technic forcefield to make it look good. 18:21 GreenDimond Is there a way to use luacontrollers to detect light? 18:21 GreenDimond or rather detect the light level? 18:22 cheapie Use the digilines light sensor - send it the message "GET", and it will respond with the light level. 18:22 GreenDimond Is there a craft for it? I assume not because it is not in my craft guide. 18:23 cheapie There should be, but I don't know what it is. 18:40 GreenDimond cheapie, does the light sensor do stuff automaticaly or does it need to be activated by a button? 18:43 cheapie [13:22:15] <cheapie> Use the digilines light sensor - send it the message "GET", and it will respond with the light level. 18:44 GreenDimond No idea how to use digilines very well.... so how to send the msg? 18:44 GreenDimond digiline_send(channel, msg) ?